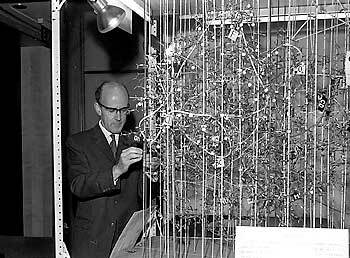 Max Perutz was an Austrian-born British biochemist who studied X-ray diffraction by proteins. In 1953 he discovered that adding a heavy atom, such as one of gold or mercury, to each molecule of hemoglobin produces a slightly different diffraction pattern. By this means he demonstrated the structure of hemoglobin, for which he shared the 1962 Nobel Prize in Chemistry with John Kendrew who, by a similar method, discovered the structure of myoglobin.